This exciting new traveling program is available for bookings. The true life story of Yukitaka Osaki, the second son of a warrior-class family from Kanagawa Prefecture, Japan. Yukitaka Osaki became a confidante and friend to William Gillette, who, at his death in 1937, bequeathed Osaki-San a place to live on his estate. It was 1888 when Yukitaka and and his older brother Yukio came to visit the US from Japan. Yukio went on to become a leader in Japanese politics, and would give Washington D.C. the famous Cherry trees. Yukitaka, however, decided to stay. Discover the story of the elusive brother behind the famous politician. 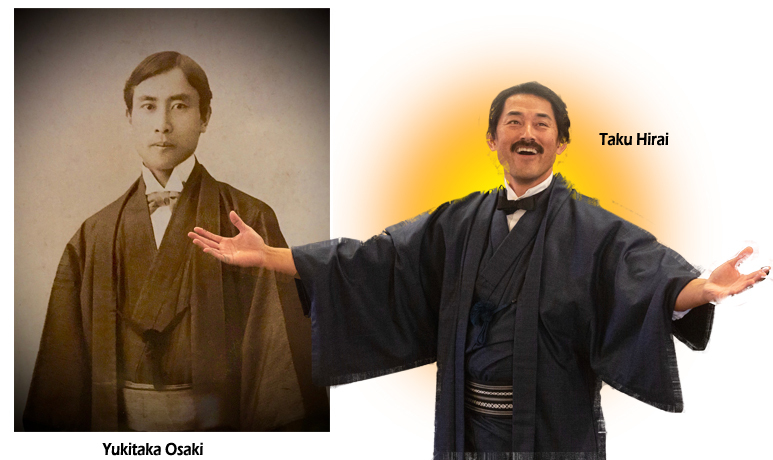 Osaki lived from the Victorian era through the turn of the century and both World Wars. Poignant and life affirming, here is what you may not know about Victorian actor William Gillette, creator of the role of Sherlock Holmes and the quiet soul who worked by his side. In this approximately 45 minute presentation Taku Hirai brings to life the amazing story of Yukitaka Osaki, the second son of a warrior-class family from Kanagawa Prefecture, Japan. Living history at its best! Yukitaka Osaki is currently performed by Taku Hirai who brings Osaki-san to life in this true life story. Contact Kandie Carle at 860-873-3521 for more information on scheduling this program for your organization. 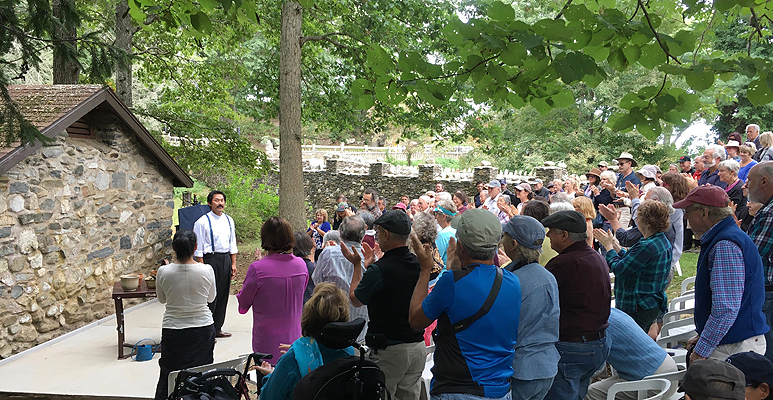 "The space was completely filled, and the audience did not hesitate to give the performer a standing ovation." 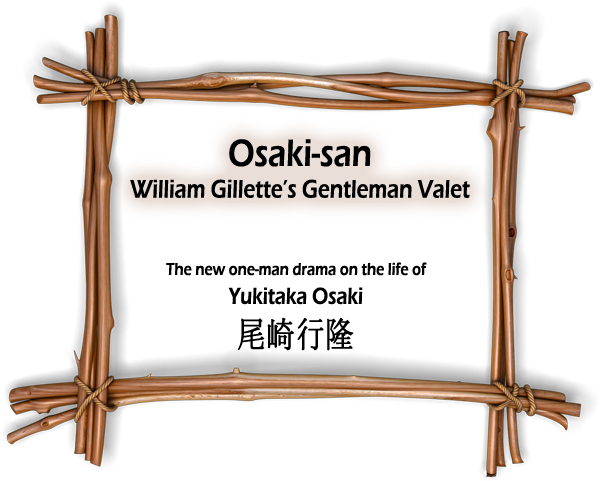 "Osaki-san - William Gillette's Gentleman Valet" On Tour! Booking Information: This exciting new traveling program is available for bookings.